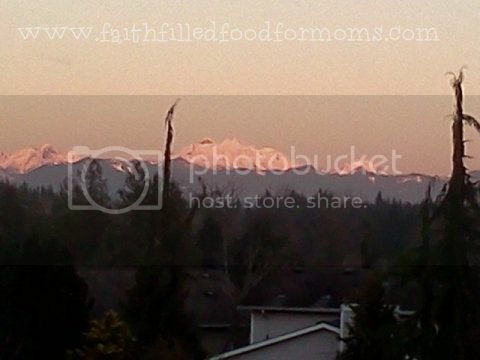 Brrrr it’s been cold here in the Pacific Northwest..but oh it has been beautiful! I try to get my Grandson out in the sunshine..but sometimes it’s just too cold. 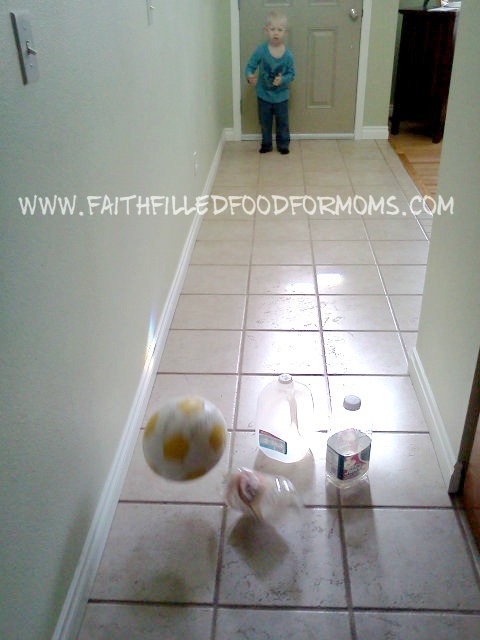 I have lots of Boredom Busters for winter…we find fun things to do inside…like bowling! Kids LOVE to knock things down don’t they? Build up a tower..then the best part is to knock it over! Well I’ve been letting my kids “bowl” in the house for years! Now it’s my Grand kids turn..and they love it! Here’s all you do. Get some empty milk cartons, water bottles, pop bottles..I even use empty boxes of cereal sometimes. Put them in a V formation, give your child a ball and roll! Yay what fun. It’s best if you have a long hallway… I didn’t use to have one and we would just do it in the living room. 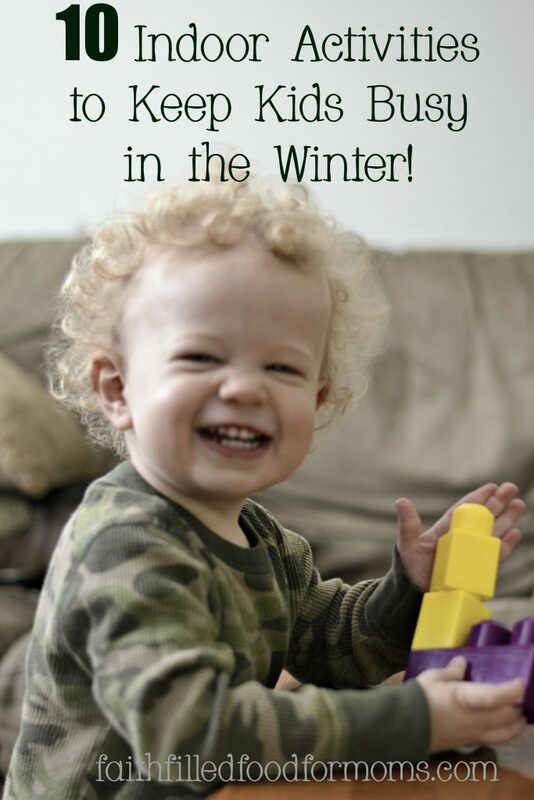 Have fun with your littles because they aren’t little very long..
What kinds of things do you do with your littles inside during Winter? My fun winter boredom buster? I have an enclosed laundry room out in the garage. My daughter and a friend would remove ALL things off the floor, putting them in the garage. Then remove ALL things hanging and folded clothes, putting them in the correct bed rooms. Then get two sponges each & a bar of soap. Next i would spray the floor with water. On their hands&knees try to knock the soap around to the imagined “goal” area. The girls called it soap hockey. I called it: a clean floor and all the clothes put away. After, the already wet girls would jump into the shower, clothes and all to warm up. I have no heater in the laundry room. They would put their clothes in the washer, then drier (learning how to do laundry) (hehe) Then they’d watch a movie and drink hot coco! 🙂 This went on for years till they got to big for my little laundry room. We’ve hit the recycling box for empty containers to smash down… I bet they’d love to bowl for them, too! Hi OneMommy! Oh for sure..those boys..how like love to knock things down LOL 🙂 Stay warm!